I spent the fall painting with the Putney Painters, I’m so honored that I was given the opportunity to paint with such an amazing group of artists. I’ve learned so much in such a short period of time. 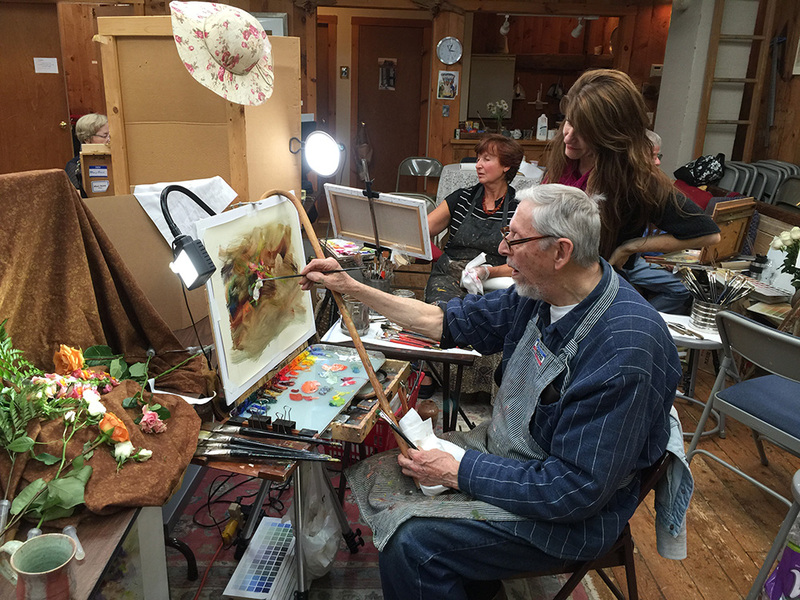 Here’s Master Artist Richard Schmid teaching me how to simplify painting a rose – one of many lessons he gave me this fall.